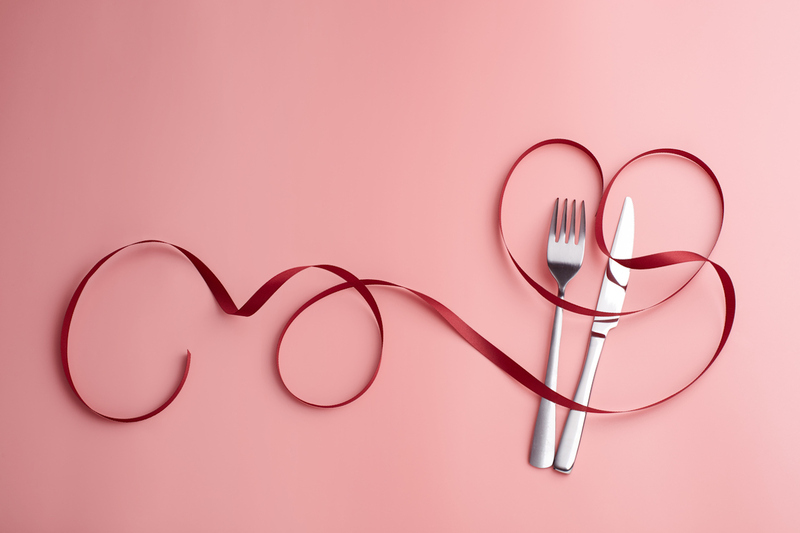 Reservations are scarce, restaurants are crowded, and the weather can be frightful this time of year — so why brave the Valentine’s Day scramble for a restaurant reservation when you can go to the best restaurant of all: The one in your kitchen. You don’t need to make a reservation, you get to call the shots on the lighting, the music — and most importantly — the menu. The secret to this menu is fresh, top-quality ingredients simply and deliciously. All you will need to do is a quick shop and do it early in the day if you can, then get out some candles and cue your favorite music for an intimate meal you can have ready in under an hour. Plus, the act of preparing a meal for, or maybe even with, someone can be a romantic gesture. So, yes, a Valentine’s Day date night at home can be special, memorable, romantic — and delicious. Here’s our ultimate Valentine’s Day dinner menu that feels just as special as a table at a fine dining restaurant, minus the whole going-out hassle and it will leave you plenty of time for relaxed, indulgent dining. Start with an appetizer of sweet, briny, velvety oysters: They are the classic aphrodisiac for lovers and a great at-home treat. You can shuck them yourself — just watch this how-to video. Serving them can be as simple as placing some lemon wedges and a small bowl of cocktail sauce on the side, or try an easy topping like chimichurri, a fresh, herbal sauce that is an unexpectedly delicious topping for oysters; try this recipe for a simple mild chimichurri sauce with chopped bacon and finely diced jalapeño, a pleasure for bacon lovers. Oysters can also be served with sriracha and lime, a modern riff on the spicy-tangy combo. Also, a Classic mignonette sauce, a sophisticated pairing of red-wine vinegar and shallots that’s so easy to make. They will be absolutely delicious. Few dishes say “special occasion” like surf and turf, a white tablecloth classic. Pair a beautifully marbled, ribeye with creamy, rich lobster tail. There’s nothing quite like sharing tender, succulent lobster with someone you love. Wild-caught lobster tails are a fantastic way to indulge, with minimal prep and mess (no bibs required!). Steamed lobster is a classic and tops for enjoying the pure taste of the luscious tail meat. Or you can roast the tails with a flavorful herb topping; this easy recipe shows you how. You will want one or two tails per person, and have extra lemon slices and melted butter on the side, plus some flaky seas salt and cracked pepper — simplicity rules. Baking these creamy, fluffy potatoes twice — once to cook the potato, and again to crisp up the topping — gives a special occasion­–worthy upgrade to an otherwise everyday side dish. The technique results in a much more striking visual presentation than standard mashed potato fare, without being too labor-intensive or tedious. Add an extra-special touch of decadence by topping with chives and caviar. 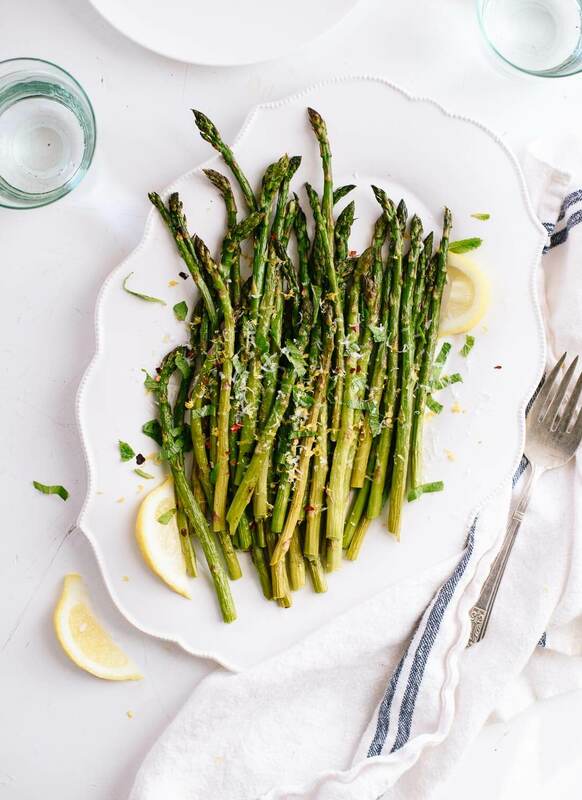 With their juicy stalks and slightly crispy ends, oven-roasted asparagus make a perfect counterpart to a fancy entrée like steak and lobster. Plus, it’s delicious enough to stand on its own without taking over the plate. Steam the spears or blanch them in lightly salted water, and they’ll be ready in minutes; cook them just until they turn bright green and the stalks just turn tender. Drizzle them with a little fresh lemon juice for a subtle pop of acidity and sprinkle of salt and pepper that takes this takes this side dish to the next level. For the roasted version on this dish click on the link here. Every romantic dinner should end things on a sweet note. Chocolate-covered strawberries are an all-time classic romantic dessert, and for good reason: The juicy, sweet-tart berries pair perfectly with the creaminess of milk chocolate or the bittersweet flavor of dark chocolate. For and easy chocolate-covered strawberry recipe click on the link here. For the requisite champagne, fill your flutes with Jacques Bardelot Brut, a crisp, dry French Champagne with clean and balanced flavors that will complement, rather than overpower, the meal. Not a fan of bubbly? Consider the wine pairing or H&G Howell Mountain Cabernet Sauvignon with the ribeye. Another suggestion is a sparkling wine: Toad Hollow Risque French Sparkling Wine, which is a fruity sparkling wine with a natural delicate sweetness. And in serving champagne or wine at at home with your special dinner has another benefit to staying in: no corkage fee! This entry was posted in Appetizers/Starters, Main Dishes, Meat, Seafood, Special Occasions, Wine, Winter and tagged Champagne, Chimmichuri, Chocolate, Dinning at Home, Lobster, Menu, Oysters, Ribeye Steak, Strawberries, Tips, Valentine's Day. Bookmark the permalink.